The mountains and skiing have provided the focal point of Mendiexpo since it first came into being. In its fifth year, the event branched out into travel and adventure sports, and in a bid to consolidate its status and respond to the increasingly varied taste of sports lovers everywhere, it was held in conjunction with Urexpo, a complementary event in which water sports, scuba diving, canoeing and sailing took centre stage. 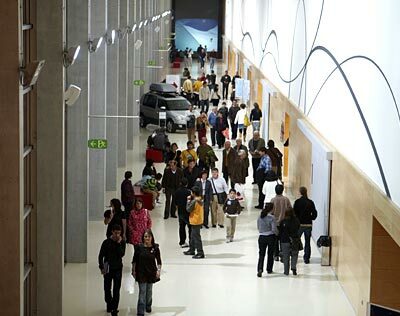 Offering a full range of technical services, the Exhibition Centre’s extensive interior and exterior spaces provided the perfect venue for the event.